New for 2019 Kalkhoff have brought another big name to the party, the Shimano Steps drive systems arguably the smoothest drive system within e-bikes! This Endeavour features the Shimano Steps E8000 series, 36V / 250 W drive system built onto the XXL model which is also new for 2019 in the Endeavour range. Enclosing the battery inside the downtube creates such a normal-looking bike, there's a good chance that cyclists you overtake won't even realise you're riding with the assistance of an Shimano Steps motor. New in the Endeavour 5 model range. The XXL range is built and designed with robustness in mind. This can support The permissible total weight (rider / bike or e-bike / luggage) is 170 kg. This comes from stiffer and stronger thru-axel hubs build onto XXL wheels with double-wall hollow section rims and reinforced spokes! 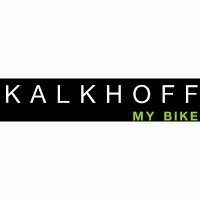 With its high capacity 540Wh battery enclosed inside the frame, Kalkhoff bring a new integrated stealth look to their Endeavour Advance electric bike. SHIMANO STEPS represents top-class e-bike components. The Japanese component manufacturer develops and produces a wide range of e-bike systems at its own production sites all over the world – light, compact and powerful mid-mounted motors, long-lasting batteries and bike computers. Short or long distances, smooth roads or rough terrain? There is a suitable SHIMANO STEPS system for everything. All of them are designed in such a way that they run like a normal bike and can be easily configured to individual needs. Powerful, light engine weighing 2.88 kg, with optimum transmission for maximum range and a high degree of comfort. Slim, compact design and low energy consumption. Owning an electric bicycle - confessions of a fit young lad - see our best read blog.